The Internet Kitchen: What’s Up Winter? It has been ridiculously warm over the last month or so where Betsy and I live in Colorado (on the Western side of the state). It really hasn’t felt like winter at all to me before this week. It finally started to drop below freezing during the day. We still haven’t gotten any snow, but I can tell that it’s right around the corner. 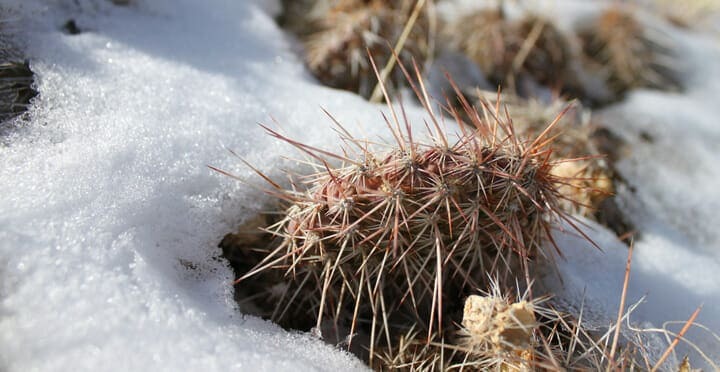 Of course, the mountains are getting pelted with snow, but our desert area is dry and relatively warm! Winter is coming though. I have to wear a heavy coat now when I walk Porter the Wonderdoodle. Let’s do something warming for the poll this week! – Follow @macheesmo on Twitter. – Like Macheesmo on Facebook. – Add Macheesmo to a Google + Circle. And, of course, you can always subscribe to Macheesmo via the feed or via email! Another blogger and I have been doing a Blogger Sweet Swap for a few months too and it’s been so much fun. The hard part is taking care of when people are having trouble communicating with each other, but other than that, it’s actually not too bad to organize! We haven’t gotten any snow to stick here either, though it’s not from lack of trying on nature’s part. :roll: I hope you have a little jacket for Porter the wonderdoodle too, otherwise he’ll get mighty cold!